We often note that small changes to cater to the Internet audience usually result in big benefits, another lesson proved recently by Gary Ryther Auctioneers, which has improved its photography. Watch for a Coin Update News article about the photographer and her methods. 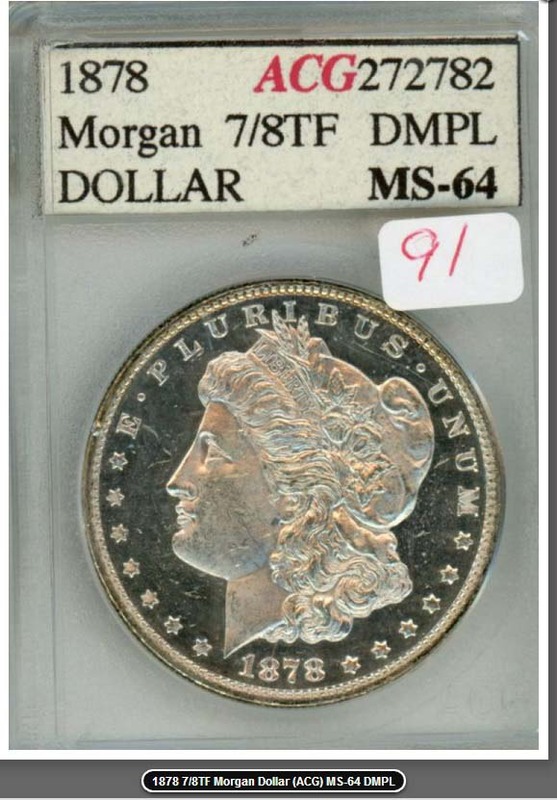 The best way to illustrate how sharp, expandable photography sells coins is to use a deep mirror Morgan, one of the most difficult to capture because its mirrors usually require two light sources and a close-up lens. 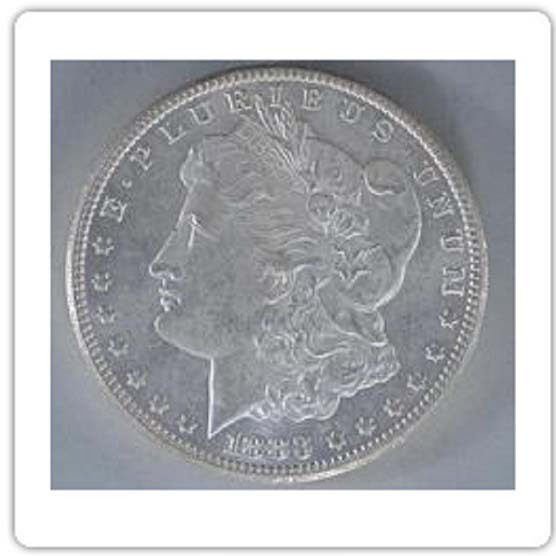 Note that the coin is photographed at a slant, which captures luster at the expense of detail, thus resulting in lower bids. Note that detail and luster are absent from this photo, shot in poor lighting with an inexpensive camera. Check Proxiblog for an upcoming feature article on her methods in Coin Update News. 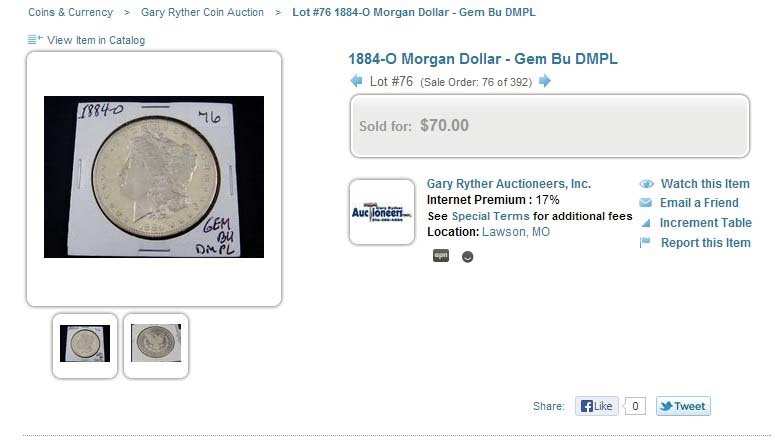 This entry was posted in Best Practices, News, Uncategorized and tagged American Numismatic Association, Annitte Caldwell, Auctioneers, AuctionZip, Best Practices, Coin Auction, Gary Ryther Auctioneers, iCollector, National Auctioneer Association, Proxibid, Proxiblog. Bookmark the permalink. ← What is Proxibid’s Policy on Questionable Lot Descriptions?